A charity is fighting to halt the closure of a secure facility for people with learning disabilities. Instead of closing the premises, it wants the National Health Service to convert them into a specialist centre for autism-related illnesses. Treating Autism says the NHS should spare Calderstones Hospital, in Clitheroe, Lancashire. The charity is campaigning to re-establish the site as a hospital for diagnosing illnesses associated with autism. Such conditions would include seizures, migraines and acid reflux or heartburn. 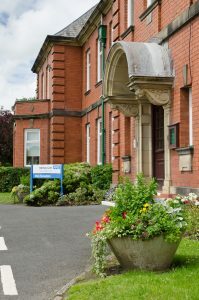 Calderstones is the UK’s only NHS specialist hospital for patients with learning disabilities. A consultation over its closure is due to conclude on 23 February. Treating Autism has launched a petition on the website change.org to save Calderstones. The hospital was the subject of a critical Care Quality Commission (CQC) report in December 2014. The report revealed “serious deficiencies” in the quality of care, cleanliness and hygiene. The Commission also raised concerns over the use of face-down restraint. But Joanne Allman, a trustee with Treating Autism, said autism diagnoses have risen massively. As a result, a national centre of excellence was now needed urgently for diagnosing autism-related illnesses. She said: “There’s a lot of evidence to suggest there’s a huge amount of suffering being caused by people with autism not having their medical needs recognised, identified and treated. Allman has a 16-year-old son, Matty, who has autism and epilepsy but is not a patient at Calderstones. You can visit the charity’s petition by clicking here. The petition’s Facebook page is here.